there will also be confusion (unrest, disharmony, rebellion) and all sorts of evil and vile practices. 17 But the wisdom from above is first of all pure (undefiled); then it is peace-loving, courteous (considerate, gentle). it is wholehearted and straightforward, impartial and unfeigned (free from doubts, wavering, and insincerity). Where do I start … well, at the beginning I guess! After my birth, my father basically walked out on my mother and me (they were not married), and in the process of growing up, I spent most of my time with my grandmother. Therefore, as a young boy, I had no experience whatsoever of a father. At the age of four, I was sexually abused by my mother’s boyfriend. This abuse went on for quite a few years. The first time it happened, I was overwhelmed with fright and there are no adequate words to describe the pain that I felt. Something inside of me died. A part of my life had been stolen and I convinced myself that I would just have to try and forget that this terrible thing had ever happened to me. I always questioned why this devastation had been allowed to enter my life and it was always on my mind. At the same time that this was happening to me, I discovered that this man was also sexually abusing his daughter, my half-sister. For many years I blamed and despised myself for allowing this to happen without taking any action on her behalf. Well, if only this could have been the end of the story but no, sadly, it is only the beginning. At the age of eight, I was gang raped by six older boys who were supposed to have been my friends. By this time my whole life was just one big mess. There was nothing more to live for and I found myself unable to share with anybody the shocking circumstances surrounding my life. And so I started to live in a world of my own. A world in which I had to protect myself from the things that were too fearful for an eight-year-old to deal with. In a very real way my childhood was stolen from me. Protecting myself, sadly didn’t work out too well as my mother and grandmother had an argument which resulted in my mother moving into a place of her own and we had to go with her. By this time she had found a new boyfriend and we all went to stay with his family. Here the nightmare continues. Sometimes I felt as if the words ‘abuse me’ were written on my forehead, as the cycle seemed to know no end. Not only did my mother’s new boyfriend abuse me, so did his brother. I began to show the signs of being an extremely disturbed child and my mother had no idea how to cope with the situation. She started to beat me and I ended up by developing an intense hatred for her. I tried so hard to forget all the things that had happened to me but with no success because the scars were by now too deeply imprinted on my soul. Eventually, at the age of twelve, I was able to return to my grandmother’s home where I imagined that I would at last be safe, but yet again I was loosed into a new chapter of abuse. In this instance the perpetrator was my own uncle. I felt utterly dirty and defiled but totally unable to share these dark secrets with my grandmother. I was not even safe in school where one of my fellow students also took advantage of me. Eventually I became so used to this lifestyle that it no longer worried me, in fact there were times when I would actually go out and look for and initiate sexual activity with others. I became extremely sexually active and fully embraced the homosexual lifestyle. There was no-one that I could turn to for help and my perception of God was of someone who didn’t care any way or he would never have allowed such devastation to enter into my life. Deep down inside I was totally broken and unable to sleep at night. Sometimes I wept endlessly – there was so much pain in my heart. I began to go to church, desperate for anything to ease my agony of soul. I experimented with alcohol, dagga and mandrax but none of these things succeeded in filling this huge gaping hole inside of me. I kept on going to church and eventually was counselled and guided into making the decision of committing my life to Jesus Christ. This brought considerable change and new meaning into my life and at first I thought that I would not have to deal with the trauma of my past. I thought that it would all disappear. But I soon came to realise that I needed help and prayed that God would lead me to someone who would understand my struggles and be able to help me experience Christ’s healing in the areas of my woundedness. At this stage God led me to a real-life-story in a magazine and I felt prompted to make an appointment and go for counselling. This was the beginning of my healing process. I was able to share my pain and the things that had happened to me for the very first time in my life. I was able to be ministered to and receive love and affirmation from a man within a framework of total safety. Also, for the very first time in my life, I was able to experience a taste of true ‘father love’ through this gentle, loving man of God who modelled to me the Father’s unconditional, faithful love. Over a period of time, through prayer and godly counsel, my life has been transformed from purely existing in ‘survival mode’ to experiencing ‘abundant life’ and, I know that it is a journey, but nevertheless, I am endlessly grateful for having been rescued from a lifestyle of recurring abuse and heartache. For the very first time, I am free and I have hope! The third quarter of 2017 has been full of counselling, mentorship, planning for our upcoming 2017-18 support groups and spending quality time with my lovely wife. Yes, life is full of the mixture of flavors. From personal life to ministry and I do not regret one minute. I must say here and now that I’m am so grateful to have a lovely supportive wife, who is gifted and loves me. I’m also overwhelmed by the faithful team that supports not only me and Judi, but this ministry. And last but not least, Judi, I and the team are incredibly humbled by you who pray for us and support us financially. 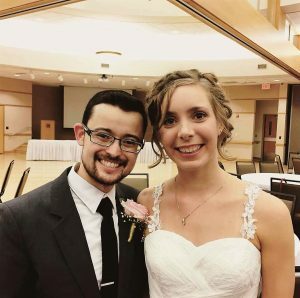 The last part of June we were thrilled to see one of our RW leaders get married, Jakab Dakota Holladay and Kalli Holladay. It was very sad that Judi and I could not make their wedding which was on the East Coast of the USA…but our hearts and prayers were with them! 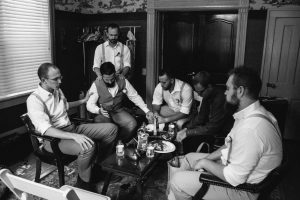 Every one of Jake’s groomsmen and his Best Man were RW members/leaders. What a huge blessing to see what our Father can do! 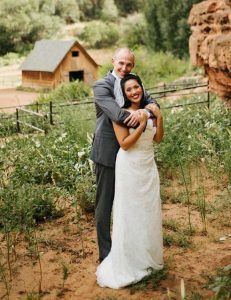 A highlight of August was the marriage Nathaniel and Ina Breniser. Nathaniel was one of our RW leaders for 4 years while attending the University of Arizona. We are so proud of him in every way! It was an honor for Brett and I to be apart of their wedding. 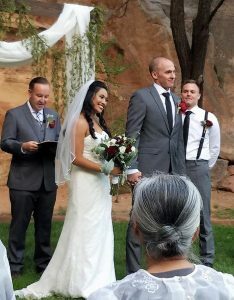 Brett officiated and I led them in communion. 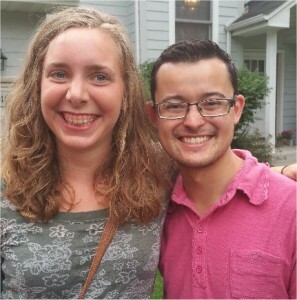 Last but not least our Restoring Wholeness leader in Minnesota, Michael Newland was married in September to Sarah. We are so excited for the two of them. God has so much in store for them and we continue to pray His eternal blessing over them. 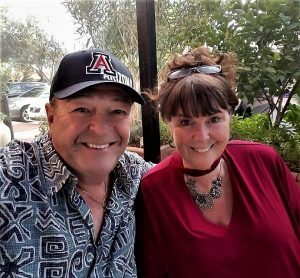 One fantastic praise report is that we now have 4 Women and 6 Men leaders in Tucson…your prayers and our Father’s faithful purpose is growing the home base in Tucson. 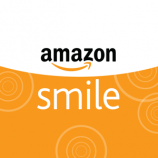 Thank you for partnering with us! 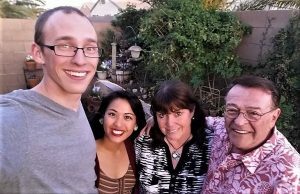 Brett is slowly growing his RW group in Flagstaff with two women and 2 men leaders. Brett has plans to start another group at Embry Riddle Aeronautical University, in Prescott, Arizona which is in the planning stages. Our RW group in Minnesota is taking the 2017-18 year off to work on our manual…they have committed to freshening up and include additional important material we have all agreed on. I will be working with them throughout this time. There is more but we have decided to wait till it’s finished to introduce the new edition of Restoring Wholeness LIFE Matters Support Group manual. This is very exciting and we appreciate your prayers for inspiration and anointing throughout this project. Personally, I would appreciate your focused prayers for my mind, body, emotions and spirit. I know our Father through His Son Jesus is the answer. I thank you ahead of time for your prayers knowing there is much in this world to pray for. God bless you. It’s with an expectant hearts that we begin our support group for 2017-18. It seems like our last group just ended. It has been several months but we still are getting encouraging words from the participants of the last group. Our leadership team grown and has spent time in planning and praying over this next season. It is already evident that we have an amazing group of people as we start this fall. It is a new format with bringing both the men and women together for the general session. It is a time of worship and learning. Then we split up into men’s and women’s small groups for a more intimate time of ministry and prayer. Having the teaching staff combined will give us an opportunity to experience teaching with the talents of each individual teacher bringing their flavor into the group. We are blessed to have several leadership in training that will branch out next year in their own Restoring Wholeness Groups around Arizona. We are thankful for all of you that support us with your prayers and resources. You are a vital part of the team. WE ARE EXPECTING A NEW FRESH ANOINTING THIS SEASON! We invite you to join our international prayer team. Contact Judi at RockGroup @ RestoringWholeness.org. 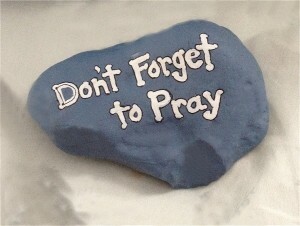 We will share our prayer needs in a short email and also look forward to hear from each of you with your needs as well. We are a team, a group of believers that are connected by a powerful thread…..prayer! It is vital that Restoring Wholeness share with our partners. Join the Rock Group today! Please continue to pray: for our 2017-2018 upcoming RW Support Groups and participants. Please pray: for plans to return to Teen Challenge, CBN TV and YWAM in Ukraine, ministry in Switzerland and the UK as well in 2018. Please continue to pray for the peoples of Ukraine, Switzerland, England, South Africa and of course the USA! Please continue to pray for the participants of our new RW Support Group. Please pray for our new, stable and anointed leaders. 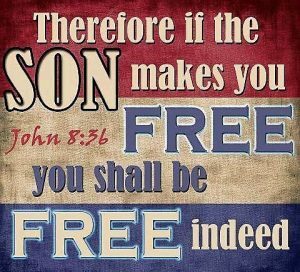 Personal support to Wynn & Judi, although not deductible in the USA, is a very thankful provision!